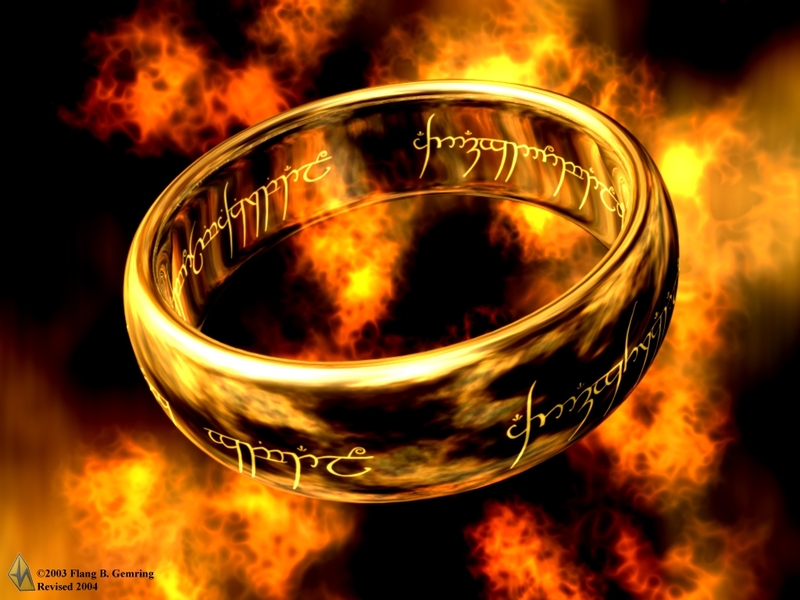 Users of the IMDB have rightly judged The Fellowship of the Ring to be a superior film to its sequel, The Two Towers. As a result, my review of that film is already online here. The final instalment of the trilogy, The Return of the King will be available shortly. Essentially, The Fellowship of the Ring is designed largely as a means to whet the appetite for further instalments to come. It sets the scene, introduces a cavalcade of colourful characters and leaves the audience on a stunning cliff-hanger. At times it’s a little twee, occasionally a little ponderous, but it’s a wonderfully visual spectacle which showcases the majesty of its New Zealand backdrops in fine style. The opening exposition is beautifully narrated and features excellent CGI armies, creating a darkly ominous atmosphere from the outset – a superb contrast with the lush greens and playful natures of the scenes which follow in The Shire. Here, the peace loving hobbits celebrate Bilbo Baggins’ (cuddly old Ian Holm) birthday alongside grizzled Gandalf Greyhame (a show stealing turn from Sir Ian McKellen) in a joyfully depicted party. The childlike wonder of the diminutive hobbits is brilliantly captured by fresh faced character actors – the pick of which is the wide-eyed Elijah Wood as Frodo. As Frodo and his friends journey from their hobbit-holes to re-convene with Gandalf, evil creeps into their world. Sinister wraiths haunt their journey – a frightening combination of squealing ghostliness and earthy, worm-ridden humanity. They are just part of the horrendous army being assembled by Sauron – one of the film’s greatest set-pieces is an incomparable combination of CGI, costume and make-up which sees orcs and goblins being torn from the earth, armed and sent out into battle against the forces of good. Sadly one of the only duff notes is a computer-generated cave troll which battles the group in the mines of Moria – here, the technology has dated badly and the scene jars somewhat. Jackson’s vision of Middle Earth is astoundingly well conceived, meaning that all but the purest of purists were delighted with his version of Tolkien’s world. Relatively little of the source material was left by the wayside (I certainly didn’t grieve the loss of Tom Bombadil) and in New Zealand, the director found the true star of his picture: majestic, epic and beautiful landscapes provide some of the most stunning scenery ever captured on film. The next instalment of The Lord of the Rings, The Two Towers, has already been reviewed here.